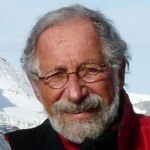 In May 2014, the North American Travel Journalists Association has recognized Peter I. Rose as a Featured Journalist for his numerous books and articles. Click here for the full story from NATJA.